NLSI’s LUNAR team is proposing an innovative concept to probe the “Dark Ages” of the Universe with a new space science mission. 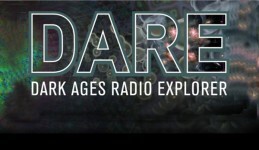 The Dark Ages Radio Explorer (DARE) Mission would tell us when the first stars formed, when the first accreting black holes formed, and when reionization of the universe began. Scientists think there may be surprising discoveries when they first probe into an age before stars. The science potential is such that in addition to accomplishing the DARE science goals, other research areas –like Dark Matter decay– might also benefit. DARE will use the highly-redshifted hyperfine 21-cm transition from neutral hydrogen to track the formation of the first luminous objects by their impact on the intergalactic medium during the end of the Dark Ages and during Cosmic Dawn (redshifts z=11–35). It will measure the sky-averaged spin temperature of neutral hydrogen at the unexplored epoch 80-420 million years after the Big Bang, providing the first evidence of the earliest stars and galaxies to illuminate the cosmos and testing our models of galaxy formation. DARE’s approach is to measure the spectral shape of the sky-averaged, redshifted 21-cm signal over a radio bandpass of 40-120 MHz. DARE orbits the Moon for 3 years and takes data above the lunar farside, the only location in the inner solar system proven to be free of human-generated radio frequency interference and any significant ionosphere. The DARE spacecraft. 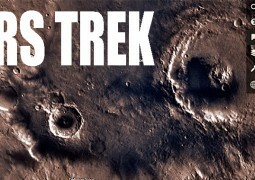 Credit: Ball Aerospace and Technologies Corp. The science instrument is mounted to a RF quiet spacecraft bus and is composed of a three-element radiometer, including electrically-short, tapered, bi-conical dipole antennas, a receiver, and a digital spectrometer. The smooth frequency response of the antennas and the differential spectral calibration approach used for DARE are effective in removing the intense cosmic foregrounds so that the weak cosmic 21-cm signal can be detected. Turning Points (A–E) mark the influence of various events on the neutral intergalactic medium, as traced by the 21-cm hydrogen line. DARE constrains the positions of the Turning Points (B, C, D) and provides the first observational constraints on the first generations of galaxies. The Big Bang produced a hot, dense, nearly homogeneous Universe. As the Universe expanded and cooled, particles, then nuclei, and finally atoms formed. At a redshift of about 1100, equivalent to about 400,000 years after the Big Bang, when the primordial plasma filling the Universe cooled sufficiently for protons and electrons to combine into neutral hydrogen atoms, the Universe became optically thin whereby photons from this early era no longer interacted with matter. We detect these photons today as the cosmic microwave background (CMB). The CMB shows that the Universe was still remarkably smooth and uniform. After the protons and electrons combined to produce the first hydrogen atoms, the Universe consisted of a nearly uniform, almost completely neutral, intergalactic medium (IGM) for which the dominant matter component was hydrogen gas. With no luminous sources present, these are known as the Dark Ages. Theoretical models predict that, over the next few hundred million years, gravity slowly condensed the gas into denser and denser regions, within which the first stars eventually appeared, marking Cosmic Dawn. As more stars formed, and the first galaxies assembled, they flooded the Universe with ultraviolet photons capable of ionizing hydrogen gas. A few hundred million years after Cosmic Dawn, the first stars produced enough ultraviolet photons to reionize essentially all the Universe’s hydrogen atoms. This Reionization era is the hallmark event of this early generation of galaxies, marking the phase transition of the IGM back to a nearly completely ionized state. The beginning of structural complexity in the Universe constituted a remarkable transformation, but one that we have not yet investigated observationally. By pushing even farther back than Hubble can see, the truly first structures in the Universe can be studied. Theoretical models suggest that existing measurements are beginning to probe the tail end of Reionization, but the first stars and galaxies – in the Dark Ages and the Cosmic Dawn – currently lie beyond our reach. DARE will make the first measurements of the birth of the first stars and black holes and will measure the properties of the otherwise invisible stellar populations. Such observations are essential for placing existing measurements in a proper context, and to understand how the first galaxies grew from earlier generations of structures. The LUNAR team is led by PI Jack Burns from the University of Colorado Boulder, Deputy PI Joseph Lazio from JPL, and includes science team members who first modeled the global radio signal from the Cosmic Dawn, the PI of the ground-based DARE pathfinder (EDGES), and members with extensive flight mission experience. With S. Bale, J. Bowman, R. Bradley, C. Carilli, S. Furlanetto, G. Harker, A. Loeb, and J. Pritchard, the team has decades of experience with centimeter and meter wavelength observations. 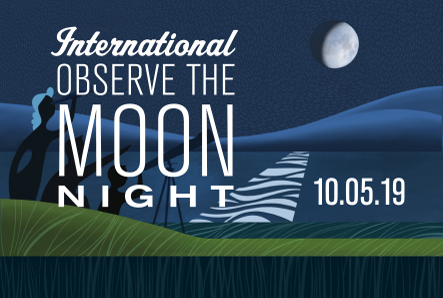 For more information about DARE visit the Mission website at http://lunar.colorado.edu/dare.